I seem to change the way I work, or at least evaluate new tools, pretty frequently. Most of the time, I fall back on the tools that I’ve grown accustomed to but occasionally, I will stick with a new tool or workflow. I feel like there has been a lot of change in the way that I work this year (2012) and, everyone needs to do a yearly recap (right? ), so I thought it would be interesting to look at the changes at little closer. When it comes to software, changes falls into two camps. You are either adding new software to perform some new action or you are switching to a new piece of software that performs a function better than the software that it replaces. I really loved the twitter client, Twitterrific. I’ve used it almost exclusively since Tweetie was bought by Twitter. I love the interface and the simplicity. For me, it was, and maybe still is the best Twitter experience on iPad, but honestly, I loved it so much that I never really tried out alternatives. Most of all, I loved the fact that it had tweet marker built in, which allowed me to stay in sync across devices. Then, Twitter started to torpedo (or at least take shots at) developers and the whole ecosystem sort of went on alert. In the midst of this uncertainty, Tapbots released Tweetbot for Mac. The price was high (relatively speaking), but the interface was intriguing. I had dabbled with Tweetdeck but found the whole interface off-putting. The ability to attach windows to create columns in Tweetbot, felt like the best of both worlds. Multiple columns done right. Since I started using Tweetbot on the Mac, I have also started using Tweetbot on the iPhone and really enjoy using it there as well. I haven’t removed Twitterrific from any of my devices yet thinking that some day I may transition back to it. Although, my decreased overall usage of Twitter probably means I’ll be with Tweetbot for a while. Sometimes you initiate change and sometimes it is forced upon you. In the case of my preferred email client, I feel like the change was forced on me. Sparrow, an email client for Mac that launched a 1.0 version back in January 2011, quickly became my default email client and fundamentally changed the way I approach email. Prior to Sparrow, I used the Apple Mail app and flagged messages to keep myself organized and on track. Rules would sort and flag messages as they came in. A flagged message would require follow up and everything stayed organized. That system worked fine and I must say, I was pretty committed to it. In fact, because of that system, I hated the iOS Mail app because it didn’t let you flag messages. Then, I found Sparrow. I was immediately drawn to it because of its similarity to Tweetie (in layout and design). It was a beautiful app and integrated with Facebook to supply images for contacts. There were some quirks. Specifically, it didn’t fit into my file and flag, rule based system. It did have starred messages, which were similar to flagged messages so I made due. Eventually, I dropped flagged messages altogether and took an In-Box Zero approach to email. Using Sparrow really helped facilitate this approach to email organization (sanity). As I was on the way home from the Pocono’s after celebrating my 15th wedding anniversary, I was describing the iOS Sparrow app to my wife and why I liked it and had switched from the mail app. Spicy conversation, I know. I checked my email and there it was. 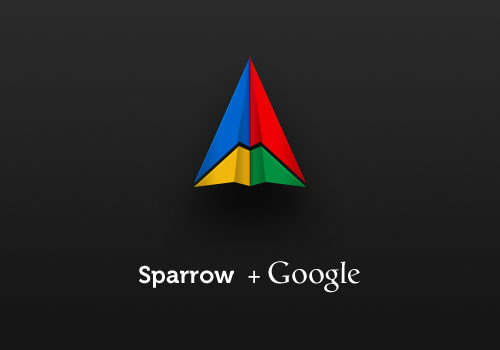 An announcement from the Sparrow team announcing that they’d been acquired by Google. I must say, I was a little heartbroken and upset. I knew that this meant the end of development for Sparrow. There were a number of critical articles written in the aftermath of the announcement - The real reason we’re upset about Sparrow’s acquisition and Uh Oh: Google Is Buying Sparrow. Apparently, I wasn’t the only one upset about it. I hung on to Sparrow and kept using it but started exploring alternatives. I went back to Mail for a bit but couldn’t get back into it. Then I found Postbox. I had tried Postbox in the past, but could never get into it. I was always trying to make it fit into my File and Flag workflow, but it never seemed to work as easily as the Mail app. By this point, my workflow had changed enough that my system was simply to use a unified in-box and deal with items as they came in. No more flagging, no more filing. If it was in my in-box, it needed attention. If it didn’t need my attention, then it was either deleted or archived. I have really grown to love Postbox and would probably have a hard time switching from it back to Sparrow if it were magically resurrected. 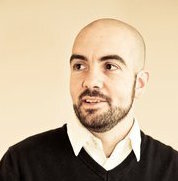 In addition to integrating Facebook for profile photos, it also auto-imports profile photos from LinkedIn, and Gravatar. You can also use it to update your Facebook, LinkedIn and Twitter status (I’ve never used that feature). The feature that has really changed my workflow is the ability to add an email to Evernote. I use Evernote for all of my receipts. Previously, I would forward email receipts to my Evernote account which I would then have to tag, annotate and add to their specific notebook. With Postbox, I can now add email messages directly to Evernote with the proper tagging, annotations and add them to a specific notebook. Another feature that has been helpful is the Focus pane. I was out of town for a long weekend and email had piled up. Instead of dealing with it all at once, which I would habitually try to do, I decided to use the Postbox Focus pane which allowed me to view messages that were sent by a specific group of contacts. I worked on those email messages first, and then began to weed out the rest. It really helped me catch up on the important stuff without being distracted by all of the other noise. This is very similar to the new VIP service in the Mail app. Interestingly, after writing about my transition from Postbox to Sparrow, an update was released for the Sparrow iOS app to optimize it for the larger screen of the iPhone 5 and support for Passbook. I really enjoyed using the iOS version as well but figured it was dead in the water without support for the larger screen of the iPhone 5. I guess I was wrong. I’m glad I didn’t delete the app. In part two, I’ll look at how the money side of the business has changed. As in, how I propose for work and how I collect money after completing the work.